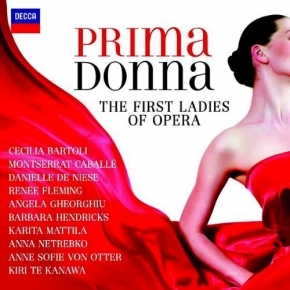 Prima Donna- The First Ladies Of Opera 2CD. Bartoli/ Caballé/ de Niese/ Te Kanawa/ Von Otter/ Fleming etc. This 2CD set includes some of the top names in Opera like Danielle de Niese. With such a wide variety of songs that are featured on in this 2CD set it is diffiuclt to really select a favorite!